The Western Australian resources industry supports heritage industry employment (archaeologists, anthropologists, GIS specialists, etc) not just in Western Australia, but throughout the country. Most of the mining and energy project development is in remote areas such as the Pilbara and mid-north regions, so that heritage consultants join the flood of fly in-fly out (FIFO) workers for these projects from around the country. Most heritage consulting firms engaged in heritage survey and management work in this sector source both permanent and casual staff from around the country, who fly in via Perth to regional airports around the country, sometimes followed by hours of four-wheel-drive travel to reach the work sites. Accommodation is usually in rapidly expanding workers camps that are motel-style portable accommodation units known as “dongas”. The length of stay depends on the kind of heritage survey or other fieldwork required, but is usually capped at two weeks according to occupational health and safety standards. A fortnight field deployment typically involves working 12 days of 10-12 hours per day, with a travel day either side. Local communities find FIFO a mixed blessing, because although resource projects benefit regional economies, they also drive up local real estate prices and rental and living costs, which can create serious problems for local businesses and residents. 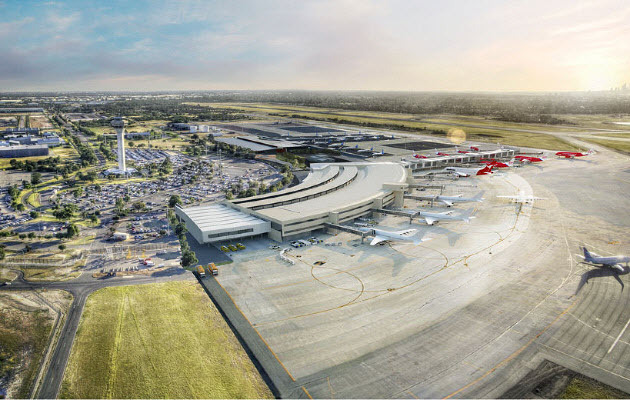 The airport at Perth, Western Australia’s capital city, is the FIFO hub, and is undergoing a three-year, A$500 million upgrade to cope with the ever-increasding traffic. The CME has also recently released a report on FIFO work in the Pilbara, which showcases best-practice by companies and new opportunities for industry and the community. A Matter of Choice – Capturing the FIFO Opportunity in Pilbara Communities was released in mid-April, coinciding with the Perth hearings of the House Standing Committee on Regional Australia’s inquiry into the use of FIFO. CME Chief Executive Reg Howard-Smith said it was important to prepare for the reality that FIFO would continue to increase as construction of resources projects ramped up.